It is indeed a sad day when even a sweet gesture from a friend is not impervious to doodles. This envelope contained some details for a freelance job I did for my friend Anne, and it fell victim to doodlification during my son’s basketball practice. 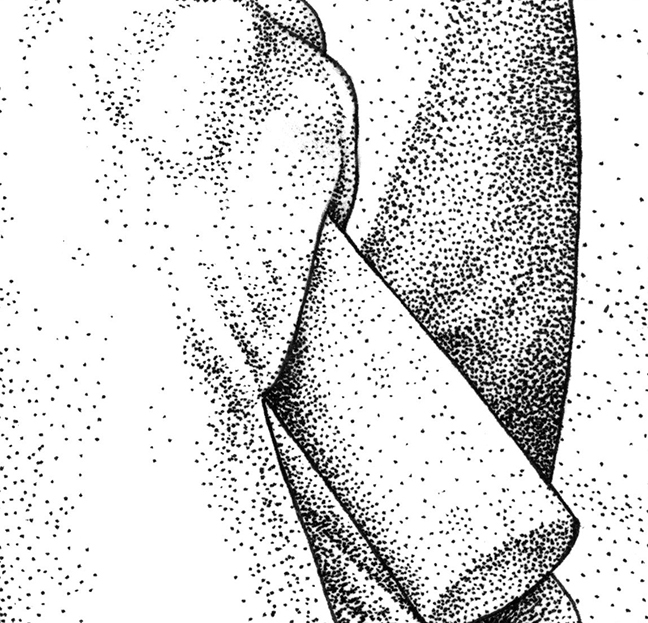 Having fun doing stipple work on a book cover commission. I love the way stippled images tighten up when reduced. But I’m a geek that way.